Whether your focus is B2B or B2C sales, your website is likely one of the primary ways you interact with clients and customers. You use it to market to them, communicate with them, share news with them, and provide the foundation they need to locate your products or services. But how can you use it to make them obsessed with you? Your website is the perfect place to delight your customers, creating an environment they can return to again and again, knowing that it will be well worth their time. This can go a long way when it comes time to renew services or upsell them on new products further down the line. Proper web design can make your clients look much more favorably on your business and increase their appreciation of what you have to offer. And getting the process started only involves a few easy-to-implement features. If your customers need to get in touch with you to discuss a problem or ask a question, they need to be able to find your contact information quickly and easily. Sending them on a wild goose chase just to send you a quick message is only going to frustrate them. Ideally, your contact information should be on your homepage, either at the top or at the bottom, where it's easy to see at a glance. Many websites display their phone numbers clearly to expedite the process of getting in touch. If your business has multiple individuals who might need to be contacted for different reasons, a "Contact Us" page that contains all of the relevant information is critical for making the process easier for your clients. This page should also include a form that goes to a general email address. NOTE: If you include a form on your site, make sure you have an internal process for answering these emails in place. Don’t make your customers wait more than one business day for a reply—and if you can answer immediately, even better! Live chat tools keep your representatives just one click away, where they can easily help your customers with all their needs. People love instant gratification, and being able to chat with a real human being can make a lasting impression. Even better, most live chat clients allow your representatives to see where the customer is as they travel from page to page on the site, making it easy to point them in the right direction. You already know that listening to and addressing customer complaints is a critical part of customer relations. Take that to the next level by using your website to discuss the problems that you've faced, and the steps you've taken to correct them. Did your website crash during a limited-edition sale? Discuss what you've done to make things run more smoothly next time. Has a common product complaint been addressed, making your products better than ever before? Write a blog post or make an announcement about how you've taken customer input into consideration and made your product better than ever. When customers see that you're listening to them, they'll feel much more confident about your company and the products or services you're offering. Plus, they’ll appreciate the transparency with which you share information with them, making you seem much more credible. No one likes a website that is hard to read, difficult to maneuver, or filled with misinformation. Make sure that it's easy for your customers to tell exactly what you're offering, how they can go about getting it, and even how much it's going to cost them. If you offer a pricing system that's based on a variety of factors, offering a price chat will help your customers decide whether or not they're willing to contact you for more information. The harder it is to find the information they need about your products or services, the better the odds that your customers will move on to a competitor. A clean, minimal website might look attractive, but if it doesn't provide the information your customers need, it's not helping your business. What are the most common questions that your customers ask? Are you getting the same questions over and over again? While not every customer will look at your FAQ page, providing it will make it easier for your customers to find their answers in a hurry, without waiting for a response from a customer service representative. Don't provide a sketchy FAQ page with short non-answers either: take the time to flesh it out with the information your customers really need. 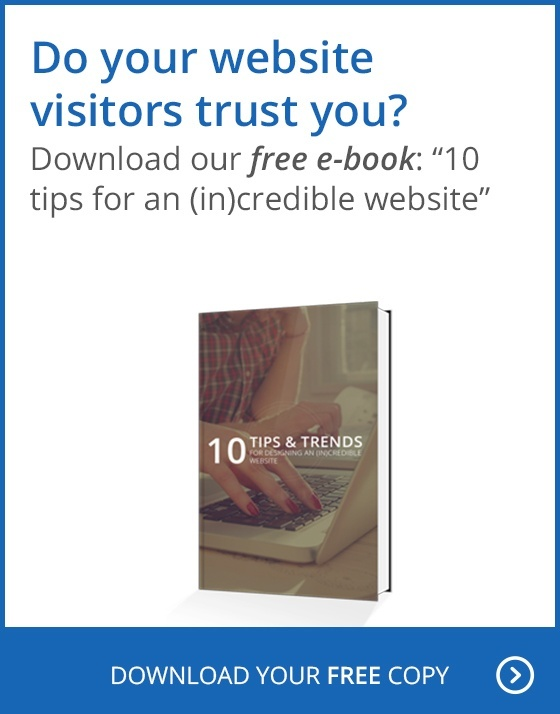 Your website is likely the first place your customers will turn when they want to learn something or get more information about your products and services. Make sure you set it up to impress and educate them from the first click to the last. By starting with these simple steps, you’ll be setting your website—and thus your business—up to succeed and draw repeat business in the long run.